Brendan Howlin has also confirmed that external advisers will be drafted in to help with the complex process. GOVERNMENT OFFICIALS HAVE met with a number of potential bidders for the National Lottery licence recently, it has been revealed. According to Minister for Public Expenditure and Reform, Brendan Howlin, members of his department have been engaged with a number of “key stakeholders” in the competition for the licence, including interested parties. They have also met with retailer organisations who have been assured that it is the Government’s intention to safeguard their margins under the terms of the next licence. Howlin announced in April that a competition would be held for the 20-year-licence. Under the new agreement, a fixed percentage of 30.5 per cent of turnover will still have to be allocated for good causes. Whoever wins the licence will also have to pay an upfront sum to the State, some of which will be used to help fund the building of the proposed new National Children’s Hospital. Responding to a parliamentary question from deputy Willie O’Dea, Howlin reiterated the need to revise the 1986 National Lottery Act, adding that his department is currently carrying out the necessary preparatory work with the Attorney General. He expects to submit draft Heads of a Bill for Government approval in “the near future”. Given the complexity of the process, external advisers will be employed to assist, said Howlin. A request for tenders for a consultancy contract will be published shortly. Whoever wins that bidding war will provide advice in relation to the structure of the competition, preparation of the necessary documentation and assistance in the process of evaluating applications/bids for the new licence. 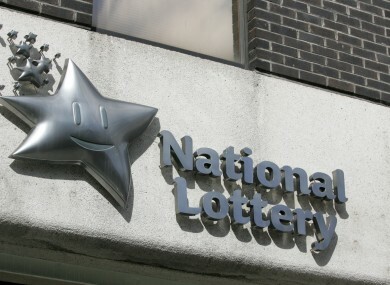 The current licence, held by the An Post National Lottery Company, is due to expire in mid-June 2013. It is expected that An Post will tender for the licence again. Email “Meetings held with potential bidders for National Lottery licence”. Feedback on “Meetings held with potential bidders for National Lottery licence”.